When can I take Social Security benefits in a way that is best for me. What pension distribution choices are right for me. How much retirement income can I reasonably expect to have. What is the best withdrawal rate that is appropriate for me. How much money should be in guaranteed investments. 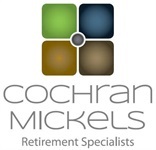 How can I rearrange investments to reduce taxable income in retirement. Should I pay off my mortgage prior to or during retirement. What are my long-term care insurance needs. Let's have a conversation to start you on the retirement of your dreams!